MAGIC! 's pop/reggae smash "Rude" leads the Billboard Hot 100 for a sixth week, narrowly fending off Meghan Trainor's "All About That Bass," which surges 4-2 and takes over atop the Streaming Songs chart. Plus, Ariana Grande's "Break Free" and Iggy Azalea's "Black Widow" soar into the top 10, granting both artists a rarity of three songs each in the region. Let's dig right into the numbers behind a busy new Hot 100, as we do each Wednesday. "Rude" again maintains its hold atop the Hot 100 despite not leading any of the chart's main component lists that rank airplay, sales and streaming. Even though it's not No. 1 in any main measurement, it continues to show strong numbers overall. "Rude" holds at No. 2 on Radio Songs (which it led for a week) with 161 million all-format audience impressions, down 3 percent, according to Nielsen BDS. It also keeps at No. 2 on On-Demand Songs (2.9 million, down 3 percent), which it led for three weeks. It drops from its No. 2 peak on Streaming Songs to No. 4 (7.7 million U.S. streams, down 7 percent) and falls 5-7 on Digital Songs with 104,000 downloads sold (down 15 percent) in the week ending Aug. 17, according to Nielsen SoundScan; it crowned Digital Songs for three weeks. Trainor's "Bass" blasts 4-2 as the Hot 100's top Digital and Airplay Gainer and vaults 5-1 on Streaming Songs, up by 32 percent to 8.1 million. The newcomer's doo-wop/pop hit rules Digital Songs for a second week with 239,000 sold, up 21 percent. "Bass" extends its record for the most consecutive weeks winning the Digital Gainer award to five. In its second week on Radio Songs, the track charges 45-24 (47 million, up 64 percent). As "Bass" jumps, Sam Smith's "Stay With Me" dips to No. 3 after two weeks at its No. 2 Hot 100 high. It remains the most-heard song in the U.S. (in the week ending Aug. 19), logging a second week at No. 1 on Radio Songs (175 million, up 1 percent). "Stay" collects a third week atop On-Demand Songs (3.1 million, down 4 percent), while descending 4-5 on Digital Songs (105,000, down 15 percent; it led the list for two weeks last month) and 4-8 on Streaming Songs (6.1 million, down 3 percent). Two songs rocket into the Hot 100's top 10, both by artists who've made themselves quite at home in the region in recent weeks. Grande's "Break Free," featuring Zedd, flies 18-4, capturing top Streaming Gainer kudos and powering 28-3 on Streaming Songs with a 187 percent increase to 7.9 million following the Aug. 12 premiere of its official video. It also roars 14-4 on Digital Songs (116,000, up 54 percent) and 15-12 on Radio Songs (59 million, up 7 percent). Meanwhile, Azalea's "Black Widow," featuring Rita Ora, snares a 15-8 advance on the Hot 100, likewise leaping after the arrival of its video (on Aug. 13). The collab climbs 40-7 on Streaming Songs (6.1 million, up 155 percent), 7-3 on Digital Songs (125,000, up 17 percent) and 26-20 on Radio Songs (50 million, up 14 percent). The ascents make it three songs apiece for Grande and Azalea in the Hot 100's top 10 this week. The pair's team-up, "Problem," falls 6-7 (after reaching No. 2 for five weeks); Azalea's former seven-week No. 1 "Fancy," featuring Charli XCX, slides 3-5; and, Grande's diva-off with Jessie J and Nicki Minaj, "Bang Bang," slips 9-10 (although up by 3 percent in overall chart points). How rare is it for female artists to lock up three top 10 spots simultaneously? Grande and Azalea join only Adele and Ashanti in achieving the feat. Adele did so with "Set Fire to the Rain," "Rolling in the Deep" and "Someone Like You" (Nos. 2, 5, and 7, respectively) on the March 3, 2012, chart, while Ashanti tripled up with her own "Foolish" and two featured roles, on Ja Rule's "Always on Time" and Fat Joe's "Wut's Luv?," for two weeks in 2002. Grande, thus, joins Adele as the only women to monopolize three top 10 ranks simultaneously as a lead artist. Beyond only women, an act claiming at least three top 10 spots on the Hot 100 at the same time is scarce. The others: the Beatles logged a record five for two weeks (April 4, 11) in 1964; 50 Cent and T-Pain each scored as many as four top 10s at a time; and Akon, the Bee Gees, Chris Brown, Lil Wayne and Usher have each tallied three, bringing the total to just 12 acts upon the additions of Grande and Azalea this week. Notably, this week marks the first time in the Hot 100's 56-year history that two acts each triple up in the Hot 100's top 10 simultaneously. More Grande- and Azalea-related honors: With "Free," Zedd scores his highest Hot 100 rank, surpassing the No. 8 peak of his own "Clarity," featuring Foxes, last year. "Widow," meanwhile, marks Ora's first top 10. She debuted with the No. 62-peaking "How We Do (Party)" in 2012; she also pushes 90-83 this week with her own "I Will Never Let You Down." Rounding out the Hot 100's top 10, Nico & Vinz's "Am I Wrong" drops 5-6 (after reaching No. 4) and Sia's "Chandelier" backtracks to No. 9 from its No. 8 high, although up 8 percent in points. The most exciting action on next week's Hot 100 might belong to a song not yet on the chart: Swift's "Shake It Off." The song barely misses this week's list, fueled by its first two days of airplay; still, it enters Radio Songs at No. 45 with 29 million in all-format audience. Because the Hot 100's sales and streaming tracking weeks run Monday through Sunday, while airplay covers a Wednesday-Tuesday schedule, only the song's airplay counts toward this week's Hot 100; next week, once sales and streaming join the mix, "Shake" should battle for No. 1. With industry sources suggesting that the high-energy lead single from 1989 (due Oct. 27) could debut with 425,000-450,000 downloads sold, Swift could shake all the way to No. 1 next week. We'll find out the next winner on the Hot 100 a week from today. In the meantime, visit Billboard.com tomorrow (Aug. 21), when all rankings, including the Hot 100 in its entirety and Digital Songs, Radio Songs and Streaming Songs, will refresh, as they do each Thursday. 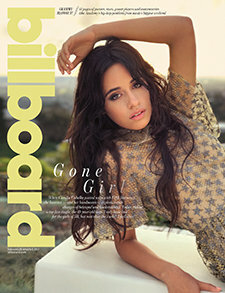 The latest charts will also appear in the next issue of Billboard magazine (on sale on Friday, Aug. 22).